The usually tranquil and sparsely populated streets of the quaint town of Franschhoek had come alive with a bustle of people, Harley Davidsons and a thousand red berets. Even the farms on the outskirts of the town were adorned with the blue, red and white of the French flag in celebration of the Huguenot heritage of the area. The annual Bastille Festival this year coincided with an unseasonal mini summer and for two days running the main street was a hive of festivity with craft stalls and food vendors and cafés extending onto the sidewalks. The smell of boerewors and steaks sizzling on open fires drifted through the air and mingled with the shouts of laughter and wafts of live music from the main tent. Just off the main drag, behind the town hall, was the epicentre of the festival: a large white tent with festival-goers gathered around tables and lazing outside on hay bales. Some unique blues tunes drew us inside where we found the impressively good Delta Blues Band. The harmonica player was particularly outstanding and the voice of the lead singer, popular guitarist Gerald Clark, was hauntingly reminiscent of Chicago Blues artist Muddy Waters. The high calibre of their stage performance drew the crowd in like bees to a honey-filled crêpe and drowned out the high jinks of the barrel-rolling competition outside. The large space was well thought out with stall-tables laid out around the outskirts of the tent, and the middle area designated to those who wanted to sit down and take in the ambience. Needless to say a wide variety of excellent local wines were available for tasting, and I tucked into a wonderfully sweet Allee Bleue Rosé with a spicy-yet-creamy strawberry underbelly, and a Cuvee Belle Rosé from Pierre Jourdan – salmon-pink in colour with a gently fruity flavour that carried a light raspberry taste. Although not usually a red-wine drinker I did taste some of my plus one’s un-wooded Pinot Noir from Pierre Jourdan and found it surprisingly light and refreshing, as well a Cabernet Sauvignon from Lynx which was rich with cassis. The food was for purchase rather than for tasting but there was an extensive range of food to satisfy a variety of tastes. From fresh salmon sushi and oysters to cups of vinegary olives, tempting brie and camembert cheese platters, pastries and gorgeously decorated cupcakes. I chose a divine combination of fried calamari and spicy prawns served on a bed of rocket accompanied by sweet chilli sauce and a dollop of creamy guacamole from the Solms Delta Table. My plus one had a wrap, stuffed with a generous helping of prego beef strips, cucumber and tzatsiki. We should have paced ourselves a little better… there was also Le Marche Français – a French market in the Town Hall complete with fencing demonstrations, while in the Church grounds a boules competition was taking place. 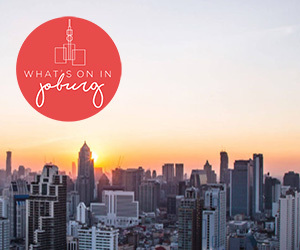 In fact there were plenty of enticements that we just didn’t see as, being in South Africa’s gourmet capital, we had narrowed our focus to the food and wine. Had we stayed longer we might have taken in a French movie at Le Quartier Francais’ screening room or danced the night away at one of the after parties. As it was we meandered back along the main road with the sounds of the Franschhoek steel band playing an impressive repertoire of beats on their eccentric instruments. Against a background of verdant mountains we passed buskers, art galleries, jewellery shops, vintage memorabilia stores and other collectables, and couldn’t resist popping in at The Huguenot Chocolate shop for a small bag of their wonderfully hand-crafted truffles and melt-in-the-mouth nougats. 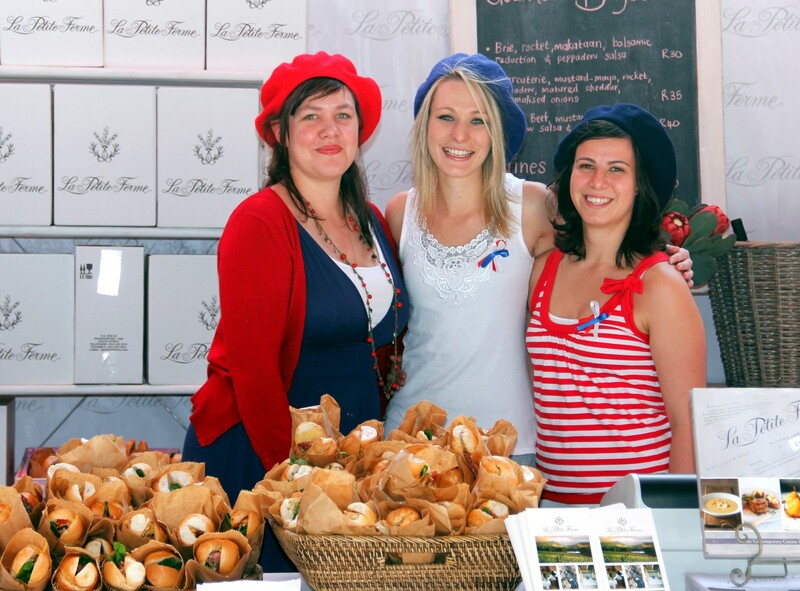 The festival was a hugely fun combination of all things French with all the joys our Winelands has to offer. I certainly won’t be letting my red beret gather too much dust: I’ll be needing it again for next year’s event. Bastille Day (when the infamous Bastille prison was overrun during the French Revolution in 1789) is celebrated in Franschhoek each year on the weekend closest to 14 July.